While most thought that Hearthstone is a P2W (pay to win) game, budget decks would be pretty viable to get you to a decent rank in Ranked Play as well or even Legend at times, and most importantly, these decks are fun to play. Since this is a budget deck, there would be no legendaries or even epic cards. But of course if you would prefer to have a little higher budget deck, we would also give you the option to replace some of the cards for legendaries or epics at a section below. 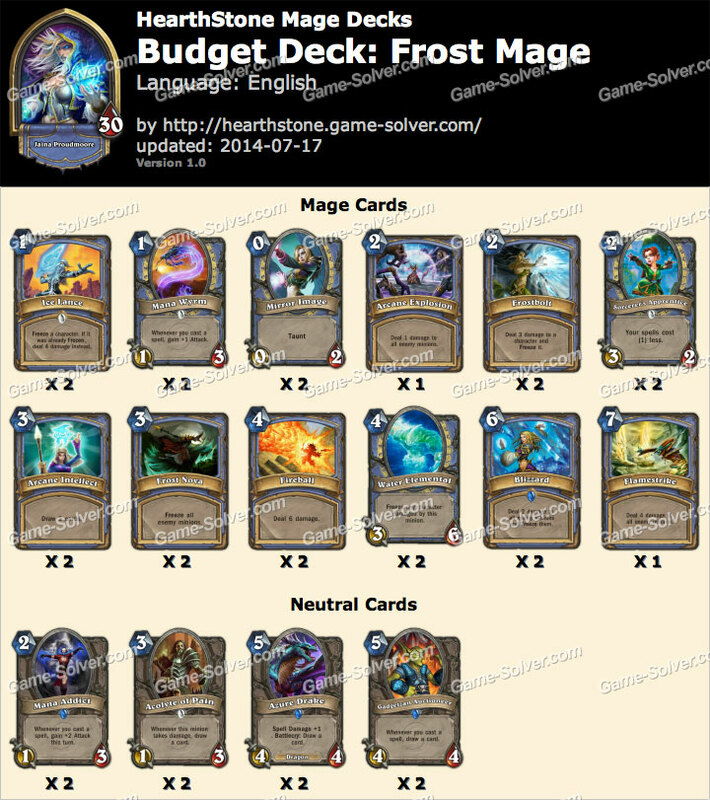 Let’s take a look at the Budget Frost Mage Deck. Try to mulligan for Mana Addict, Mana Wyrm and Sorcerer’s Apprentice as they allow you to build up damage and tempo. When going against aggro, try to keep Arcane Explosion as it is especially good against aggro. Fireball, Frostbolt and Ice Lance would be your burst damage to take down the opponent, so try not to keep it in your starting hands.